Yesterday I made time and built a hanging rack for the guitars. 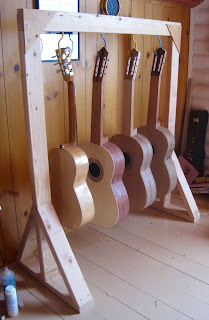 I took some Douglas fir 2x4's and made the rack that you see in the above photo. A few cuts on the sliding compound miter saw, a couple of screws and a few pieces of hardboard was all that was needed. 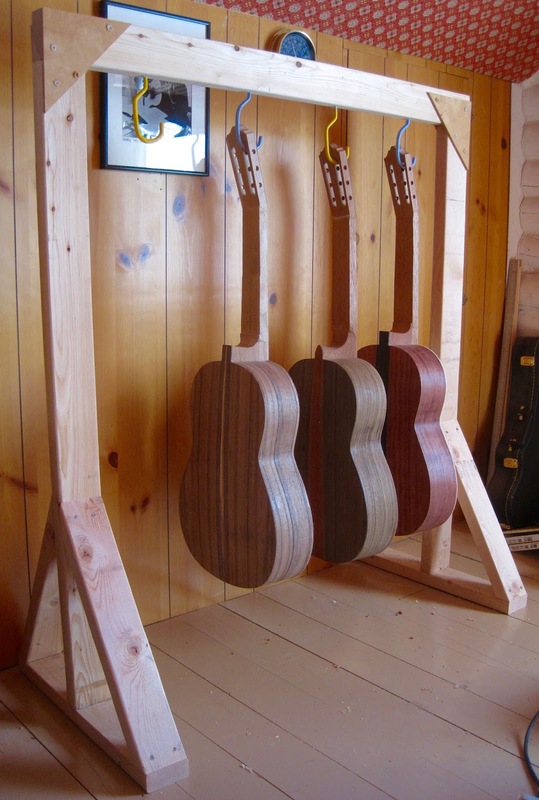 The frame is sturdy, sturdy enough to hang four guitars from. Now all of the guitars will be right at hand.